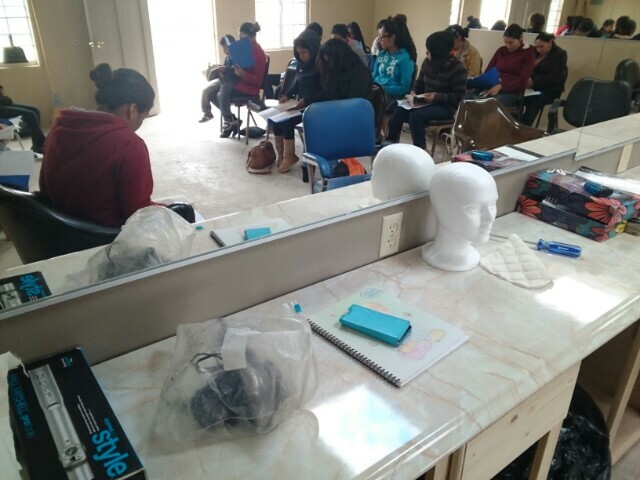 Locally known as the “La Estetica,” our beauty school is a 6 month program walking participants through all the disciplines essential in becoming a skilled and well-rounded esthetician. Our goal is to equip locals with attainable skills in order to give them the means of supporting their families outside of the arduous and physically taxing work in the fields. Six hour classes held once a week, give the students a schedule which they can maintain without jeopardizing their prior livelihood responsibilities. Also being able to provide this as a free course, we are able give hope and promote self-development to those who otherwise have no means for advancement. 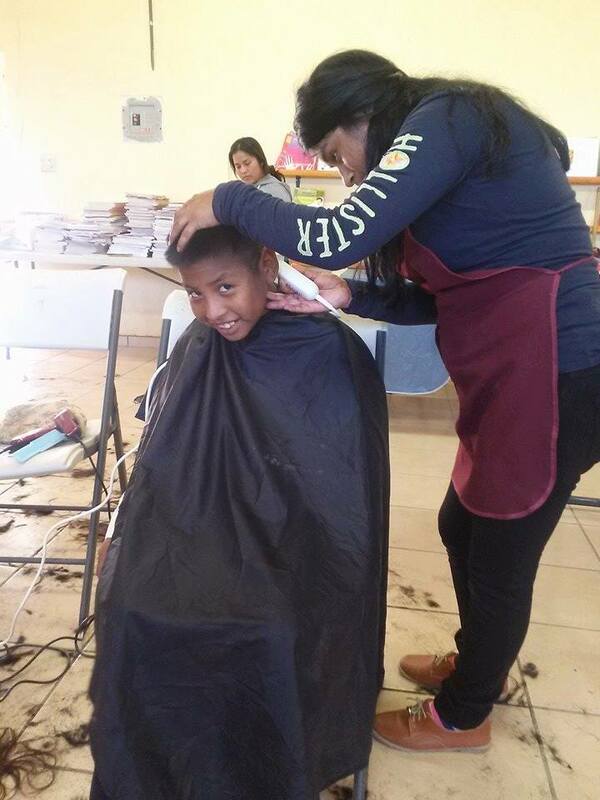 We have been blessed with a local hair dresser who has graciously made the commitment to donate her time toward running and teaching this program. Erica Nicolas has her own Salon in town, and has been working locally for the past 7 years. Her demeanor is sweet, and she teaches with patience and compassion, providing an ideal atmosphere for learning and growth among the group. But despite her quite disposition, she maintains a strict standard for her students, holding them to specific expectations in attendance and responsibility. With the limited seating and high demand for this class, Erica makes sure that each of her students are fully committed and dedicated to the program, if they demonstrate otherwise, they are dropped, allowing for a student who brings the level of dedication required to maintain participation for the duration of the course. With her love for Christ, and her heart for service, Erica has proven to be more than we could have ever hoped for, and can easily be accredited for the great success this program has enjoyed so far. Beyond our hope to help equip others with a new skill, it is our desire and passion to demonstrate God’s love to others. Each of our technical school classes are run and based on one common ground, that is, that we serve because He first served us. 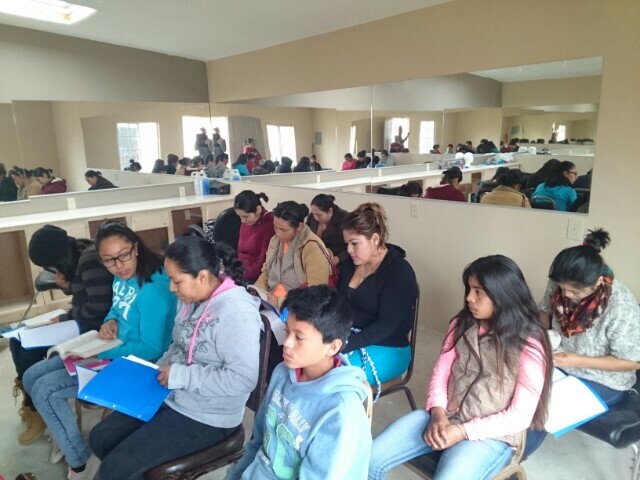 Every class is kicked off with a short bible study. In most cases it is a current student, or an IDT Tech School alumni, who leads the spiritual aspect of these classes.